Butterfly gardening is not only a joy, it is one way that you can help restore declining butterfly populations. 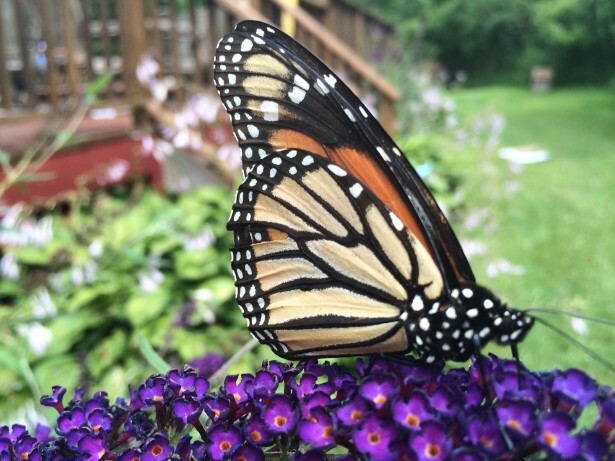 Simply adding a few new plants to your backyard may attract dozens of different butterflies, according to landscape designers at the University of Guelph. - Provide a broad range of flower colors. Some butterflies like oranges, reds and yellows while others are drawn toward white, purple or blue flowers. Article Source/Author: Jane Lake's work has appeared in Canadian Living, You and Modern Woman magazines. To make your own butterfly feeders, read her article, Butterfly Food or visit her Nature Crafts section for more nature articles, including how to make nectar for hummingbirds, plus more on butterfly gardens.